RAPAPORT... 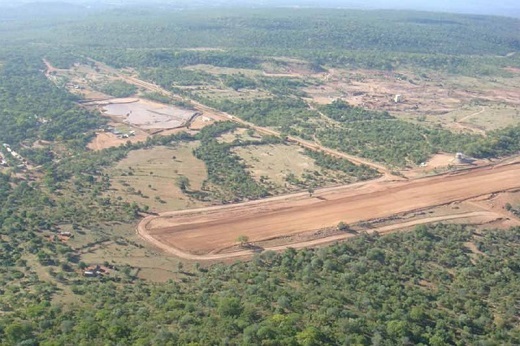 The Zimbabwe government has installed a crushing plant at its Marange diamond deposit as it aims to shift from alluvial operations to higher-value mining. The Zimbabwe Consolidated Diamond Company (ZCDC) hopes to increase annual output to 10 million carats within the next five years, the nation’s Ministry of Information, Publicity and Broadcasting Services said in a Twitter post last week. To that end, it has commissioned the new facility so it can treat hard rock under the surface — an activity known as conglomerate mining, which is more expensive than alluvial mining but produces higher yields. Zimbabwe President Emmerson Mnangagwa has been trying to reform the nation’s diamond industry and increase transparency. Corruption claims plagued the sector under the leadership of former president Robert Mugabe, who was ousted in November 2017. ZCDC recovered 1.8 million carats of rough diamonds in 2017, mainly from Marange, and a further 1.6 million carats in the first half of this year. It planned to unearth 3 million carats in 2018. Image: The Marange diamond fields.